Casey Wright | What Is Honorable? In this episode, Casey talks about shifting attitudes, cultures, and beliefs – that what was considered honorable ‘back in the day’ may not be considered so now. And you need to pay attention, learn, and adapt to the changes in order to stay afloat in this world, and in business. What is considered honorable changes over time as we grow as a culture and gain new information. Sticking with something just because it’s always been that way is a truly lousy reason to persist in a behavior that causes harm. And you can either complain that things change, or embrace the change and use it as a tool to adapt and grow. As a leader, a coach, a mentor, a parent, we need to prepare kids for their world – not for our world. If their world embraces technology and says and means something else and if their culture is doing and saying something else, we need to prepare them to navigate that. You have to love your customers more than you love your product. They are the reason for your existence. And if your goal isn’t to serve your community and your customers , then you really can’t complain about a lack of business. Bonus takeaway: to create the best athlete, first create the best human. 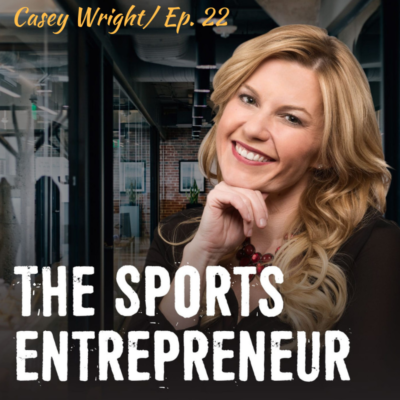 Casey has had great success in running her 6 gyms and making the transition from artist to entrepreneur. But one of the biggest things you have to learn to do as a business owner is adapt – to shifting cultures, beliefs, attitudes – to better serve your community. The Faces had a song called Ooh La La and the chorus goes: “I wish that I knew what I know now, when I was younger.” We all do – but since we don’t have time machines, we have to learn and adapt quickly or our business may not be here next year.